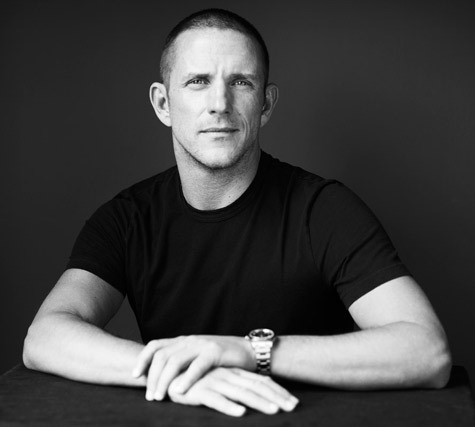 With over 25 years of experience running his own design firm, the New York and Hamptons based designer has built a solid reputation as a highly versatile interior designer whose classically modern work is custom tailored to the needs of each client and project. Completed projects include an oceanfront beach house in Sagaponack, a traditional American Country House in East Hampton, a modern family apartment on the Upper East Side and a penthouse office for an investment and media company in New York’s Meatpacking District. In Palm Beach, a contemporary penthouse apartment for art collectors and a Historic Mediterranean Style House. Current projects include a duplex penthouse on Fifth Avenue, a modernist beach house in Sagaponack, and a family apartment on Park Avenue. Robert has been featured in Elle Décor, House Beautiful, W, House + Garden, Food & Wine, Hamptons Cottages & Gardens, Hamptons, Hamptons Style, Palm Beach Cottages and Gardens, Traditional Home, AD España, Beach, New York Spaces, espAces Contemporains, as well as design books, Hamptons Havens, Design in the Hamptons, The Big Book of the Hamptons, and Dealer’s Choice: At Home with Purveyor’s of Antiques and Vintage Furnishings. Robert designed the 2009 House Beautiful Kitchen of the Year at Rockefeller Center. He was the Design Director for the 2005 Hamptons Cottages & Gardens Idea House in Bridgehampton and has also participated in the House and Garden Hampton Designer Showhouse, The French Designer Showhouse, The Traditional Home Built for Woman Showhouse and The Palm Beach Red Cross Designer Show House. He was also named one of Elle Décor’s top 25 A-List Designer’s in 2010, and each year subsequently. He participated in the 2011 and 2017 Kips Bay Show House and Hampton Designer Show House. Robert was named to Architectural Digest’s Top 100 designers in 2016, 2018 and 2019. Robert is an avid collector and serves on the Director’s Council at the Whitney Museum of American Art.